Whilst Oregon has a lucrative export business in beers and wines, but the state is yet to allow the export of cannabis and its derivative products. however, a new bill being considered could allow trade with neighboring states. Recommendations come after the Joint Commission On Low THC Medical Oil Access issued a report recommending that Georgia legalizes the regulated cultivation and sale of cannabis. 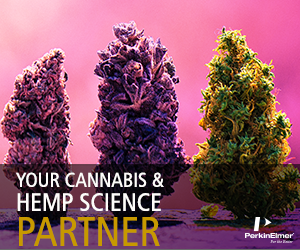 In this article, we look at the support that is available to laboratories to help them adapt to the new cannabis pesticide testing requirements. Five different plant pathogens were identified in the crown tissues of wilted plants highlighting the need for better environmental controls and cultivation practices for outdoor grows. The announcement could make Luxembourg the first European country and EU member state to fully legalize recreational cannabis for its adult residents. However, fears have been raised over a potential second black market for tourists. California's strict cannabis testing regulations may have created more problems than it has fixed. The bill formalizes a commitment to opening a regulated medicinal cannabis scheme in the country within a year and gives those in palliative care a legal defense for using cannabis medicinally in the meantime. Phenova, Inc. becomes the first laboratory to be awarded the accreditation for cannabis proficiency testing, filling a "significant need" within the industry. Sequoia's test reports showed abnormal formatting, which raised questions. Thankfully, the potential risk to the public is believed to be minimal. Hemp represents a tangible opportunity for future explosive market growth. Under the Farm Bill hemp cultivation will be allowed more broadly, and the product will have free movement across state borders.